Mary I’s decision to marry Philip of Spain was very unpopular. The English, in fact, feared that Philip would be their ruler and turn their country into “another Habsburg milch cow”*. These fears were also shared by Parliament, who tried to dissuade the Queen from the match and convince her to marry Edward Courtenay, Earl of Devon, instead. But Mary wouldn’t change her mind and soon, it became clear to her opponents that the marriage could only be stopped by force. And so, on 26 November 1553, a group of man including Thomas Wyatt, a hot-headed ex-soldier and Catholic whose father had once been a suitor of Anne Boleyn, Sir Nicholas Throckmorton, Sir Peter Carew, Sir James Croft and William Thomas, met in London to plot a rebellion. It is unclear whether, as people believed at the time, the rebels also planned to depose Mary and give the crown to Elizabeth and Courtenay instead. That’s what De Noailles certainly wanted and Wyatt did write to Elizabeth hoping to get her support, but if this plan had been approved, no definite evidence has survived. A plan that was definitely vetoed instead was that to assassinate Mary, which had been proposed by William Thomas. In December the rebels, which by this time included also Courtenay and Henry Grey, Duke of Suffolk, Jane Grey’s father, devised a plan. It was decided to orchestrate four different uprisings in different parts of the country on Palm Sunday, 18 March 1554: Wyatt would raise Kent, Croft Herefordshire and the Welsh Marshes, Suffolk the Midlands and Carew and Courtenay Devon. The four armies would then march to London and prevent the wedding. However, the government knew that trouble was brewing. Courtenay panicked and, hoping to save his own skin, confessed everything to Stephen Gardiner, Bishop of Winchester, on 21 January. Upon learning of Courtenay’s betrayal, the rebel leaders realised that they had to act immediately. On 25 January, they sprang into action, but the results were very disappointing. Without Courtenay as their leader, the people were unwilling to rise. Suffolk’s attempt to raise the men of Kent failed, and he was forced to go into hiding, Carew, disguised as a servant, managed to flee to France, while Crofts simply returned to London without having done anything. Only Wyatt posed a serious threat. He raised his standard at Maidstone and marched to London with an army comprising of 500 rebels. The Queen sent an army to squash the rebellion, but many of her men deserted and joined the enemy instead. The rest fled. Refusing to flee London, Mary then rallied her troops with a rousing and inspiring speech and, when Wyatt reached the city on 3 February 1554, he found it well-barricaded and defended. Things now started to go wrong for him. London Bridge had been destroyed to prevent the rebels from crossing it. In addition, the rebel’s artillery became a hindrance and had to be abandoned. Wyatt’s troops were “allowed” to reach Ludgate, only to find the gates barred. They were forced to retreat and head to Temple Bar, where Mary’s troops were waiting for them. Wyatt had been lured into a trap. His men surrendered and so did he. He was arrested and imprisoned in the Tower. 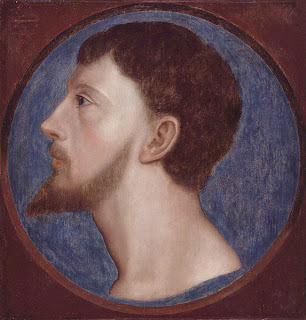 Thomas Wyatt the Younger was tried at Westminster Hall, found guilty and executed, along with William Thomas and about 90 rebels. He always refused to implicate Elizabeth in the rebellion. The Princess was too clever to involve herself directly with the rebels, but was still imprisoned in the Tower for a while as a precautionary measure. But as there was no proof against her, she was eventually released. Croft was tried, found guilty and later pardoned. Carew was imprisoned and later released. Throckmorton was found not guilty and thus, released. Courtney was exiled. Henry Grey was executed. Because of his involvement in the rebellion, his daughter Jane and her husband Guilford Dudley suffered the same fate.